I hope you enjoyed How to Deliver Better Outcomes for Your Customers, the first post in our 6-part Collaborative Selling series. In the second post, Theresa shares the five key elements of building a fruitful partnership. I hope you find the information valuable. I am curious to know which of the five elements you find most critical in your partnerships and where your organization or team struggles. Use the social share buttons on this page and let us know. Building blended solutions heavily relies on the existence of strong partnerships. 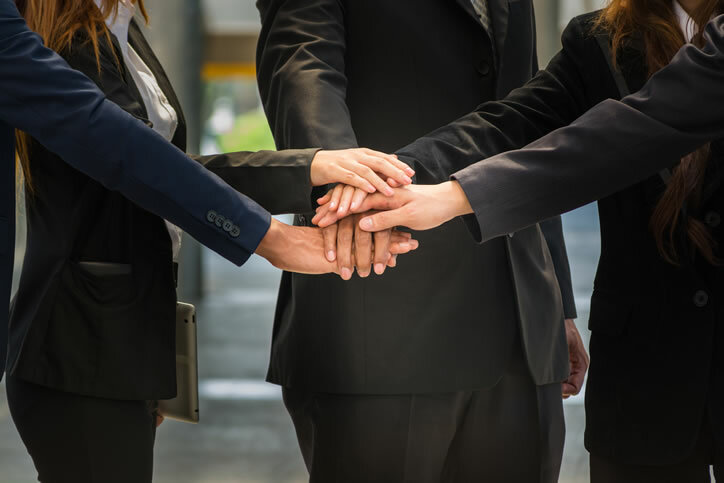 Strong partnerships fuel better outcomes for customers and generate pipeline, accelerate sales cycles and, ultimately, increase revenue production for solution providers. However, while we may all see the value that partnerships can bring, according to a recent study my team conducted, 80% of partnerships never reach their full potential. Why might you ask? Well, too often partnerships are based on good intentions. For a partnership to thrive and grow and for customer opportunities to be developed, they need to be approached with a strategic planning discipline that is fueled by collaboration and pragmatism. In my last post, I referred to the ISO 44001 standard as a model to follow when implementing a collaborative selling approach. This model is the basis for a framework that my U.K. business partner Isobel Rimmer and I built. This framework outlines five elements of integration to ensure productive partnerships. Applying this framework to partnership discussions will drive the strategic discussions to not only identify the solution opportunity but also integrate the necessary elements for a proactive business development approach and streamlined operational approach. When paired with a focus on relationship building amongst team members and a culture of collaboration, partnerships will thrive and deliver customer value. Strategic – Develop key relationships with target customers, end users and opportunities: Consider each partner's key strengths as well as your customers' challenges and develop a vision for a blended solution that addresses market demands and highlights partner strengths. This exercise will drive your joint value proposition and the sales strategy that will help you identify and drive new opportunities. Tactical – Working together on projects, activities and client needs: We've all had those great business meetings where everyone gets fired up about the partnership but then everyone goes back to their respective offices and follow-up doesn't occur. A collaborative partnership develops a cadence for pipeline reviews and account mapping to keep the activity and focus going. Operational – Working practices, processes and project plans to deliver against the above: To accelerate the long-term growth of the partnership, it's helpful to outline the working practices and processes that will accelerate the flow of business. This includes things like lead passing, contracts and renewal management. What do these processes look like? Who owns what? How will information be shared and actioned? Interpersonal – Individuals getting to know each other, skills to build relationships internally and externally that foster collaboration: Building interpersonal relationships among team members will improve communication. Team building activities—such as a happy hour, dinner or a joint outing like golfing or bowling—help individuals forge relationships on a one-to-one basis. This will smooth the way to more frequent, open communication among team members. Cultural – Building the communication skills and cultural awareness to bridge differences internally and externally: From a leadership standpoint, it's wise to encourage a culture of respect, flexibility and openness. This is especially powerful when modeled by leadership and will transcend throughout the team to nurture collaboration that will support the long-term growth of the partnership. When the ISO 44001 framework is implemented, partnerships will flourish resulting in a blended solution that improves customer value. It starts in the beginning when each party identifies what they bring to the table and how those strengths can be paired to address a customer pain point. This blended solution will result in greater value and improved satisfaction for the customer and increased leads, pipeline and revenue for the partner. Once the partnership is in place, partner sales teams need to implement a collaborative selling approach to foster the customer conversations. Check out our next post to learn how to effectively build trust and collaboration at all levels of an organization. Theresa Caragol is founder and CEO of TCC, LLC, and Achieve Unite, a strategic advisory firm that provides business acceleration services to global enterprise. She has more than 20 years' experience in building and managing multi-million-dollar indirect channel teams and strategic alliance business and programs from inception to sales success. 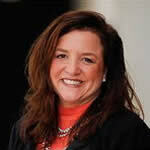 Prior to founding TCC, Theresa held senior executive roles at Extreme Networks, Ciena and Nortel.